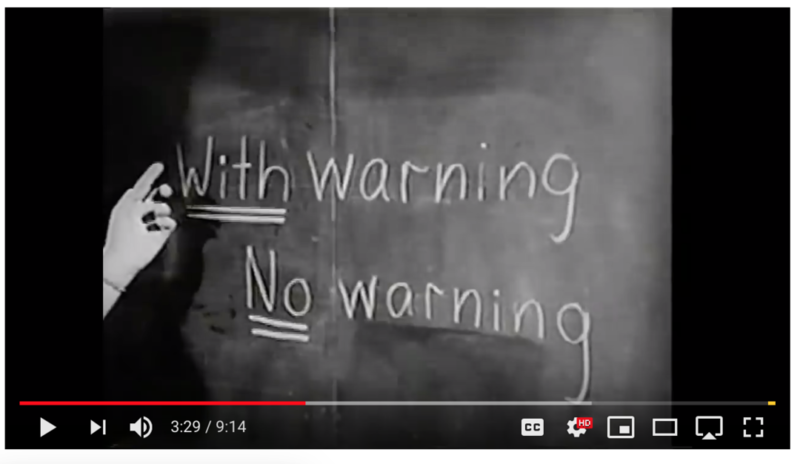 With Warning or No Warning: How are you going to live? I’ve been meaning to watch the PBS Nature episode, Moose: Life of a Twig Eater, ever since it first became available three years ago, but I never got around to it until a few days ago when I realized PBS would be taking it offline this week. I am sorry to have delayed too long for my review to be useful, but I’d definitely recommend watching it! Not for the facts and information – I was surprised how little of that there was – but for the gorgeous scenery of Jasper National Park in Alberta, Canada, and the way the cameraman conveyed his respect and admiration for this magnificent animal, the moose. Apparently moose populations are rapidly declining in some areas – I doubt that’s the case in our neighborhood! – and research is being done to figure out why. Surviving the first year is particularly difficult for a moose, and in this documentary a cameraman/naturalist followed a mother and calf through a variety of challenges in the calf’s first year of life. The mother teaches baby to swim, eat mineral rich plants at the bottom of the lakes, and generally how to live and grow in a harsh, rugged environment. Beautiful photography and compassionate narration make this a compelling episode – the moose is a beautiful creature in full color, close up view. As my family watched the show together, I commented on how the setting was basically the landscape we live in….. Rugged mountains every direction, gorgeous camera shots of soaring eagles, brightly colored ducks, deep snow. And bears. I remember the first time I saw a moose, of course. It was mid-May, and my first trip to Alaska. While David worked, I explored. 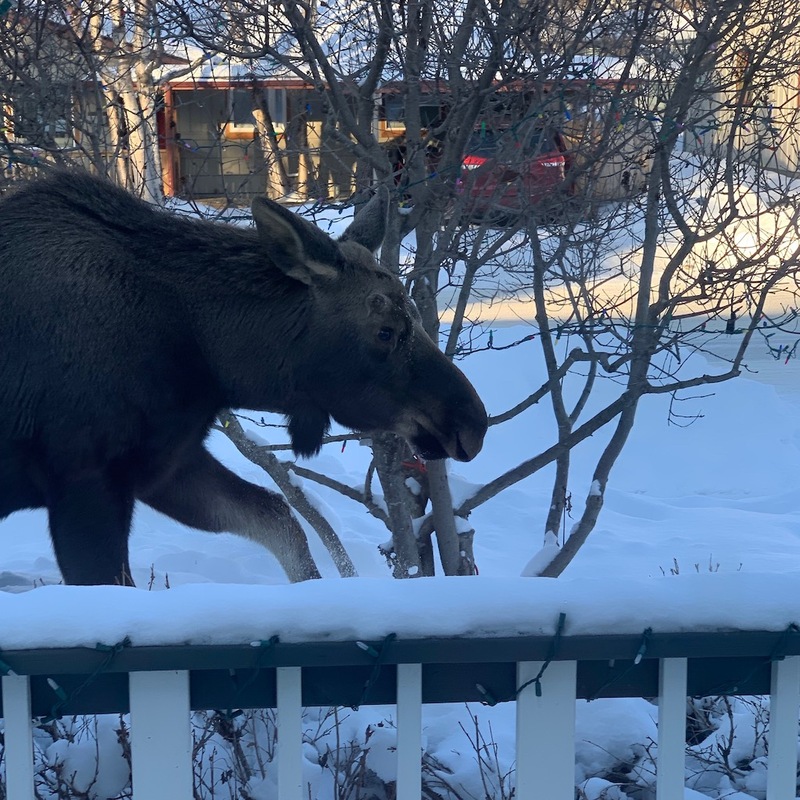 One morning, while I was walking through a park on the northwest edge of Anchorage, I was startled to see a huge moose amble across the green space and continue on up the street, right into the downtown shopping/dining district! And that is exactly how it is, living here. We sit outside at the neighborhood bakery, drinking coffee and eating fresh pastries and a moose meanders by. School kids get stuck with inside recess or must adjust dismissal plans because a moose wanders onto the playground. I look up from my dining room table and see a moose mosey through my yard. Our first winter in Anchorage, we enrolled our boys in the Junior Nordic program at Russian Jack Park, and while the boys skied with their groups two nights a week, David and I skied the trails ourselves. It was sobering to then go out on the same trails Saturday morning and see moose! What became obvious in the Saturday morning light was no doubt, also quite present in the weeknight dark. Wild animals walk among us. For real. On their very first night of Junior Nordic practice our boys learned how to conduct themselves safely around moose, and they were regularly drilled through the season: when encountering an aggressive moose – get behind a tree, or if there are no trees, drop down and stick your skis and poles straight up>> like a bush. As a newcomer to Alaska I was eager to learn these things too. 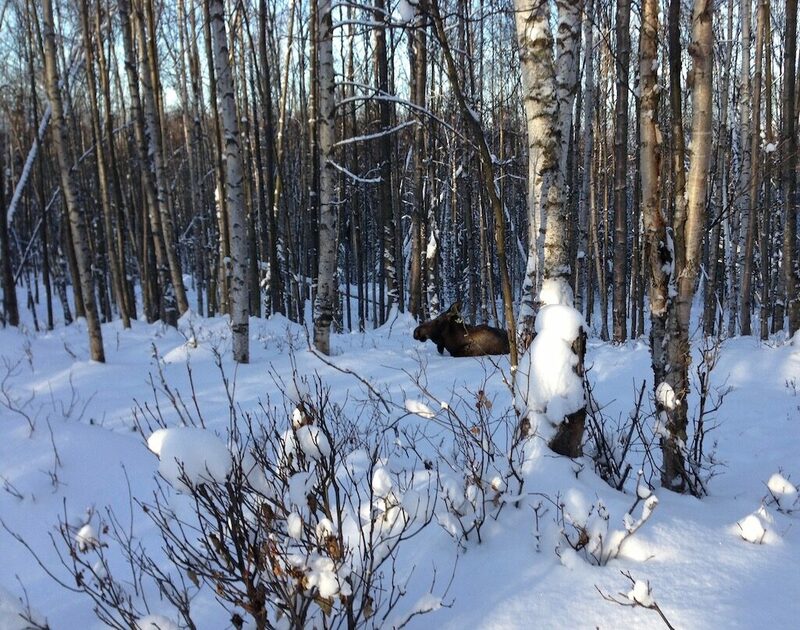 In the years since, I’ve learned seasonal patterns for when moose are more likely to be in the neighborhood – just scroll through my February photos!! I watch for the signs – the telltale fresh moose tracks, and by that I don’t mean hoof prints. And I know to always keep a safe distance between myself and the massive animal that sometimes stands lazily in my yard, munching on branches. When I’m out on the trails or sidewalks I always know which tree I’ll run to if the laidback creature should suddenly rage. Moose stories abound. The headlines regularly remind us that moose can be dangerous. Last fall we had airbnb guests who totaled their rental car and rattled their nerves in a run-in with a moose near Fairbanks. David encountered an angry moose on a ski trail a couple years ago and had to problem solve his escape. But with no truly scary moose encounter of my own, I’ve mostly just been humored by the bizarre feeling of startle and awe that comes when that great big wild animal suddenly wanders into the space of my every day living. I enjoy seeing moose – keeping one eye on the nearest tree, and the other looking through my camera viewfinder. It’s wacky and weird. And unpredictable. That’s the word the naturalist used in the Twig Eater documentary as he described his relationship with the mama and baby that he followed for a year : unpredictable. And that’s the word I’ve held in comfortable tension as I’ve walked my neighborhood for years now, knowing that moose walk here too. 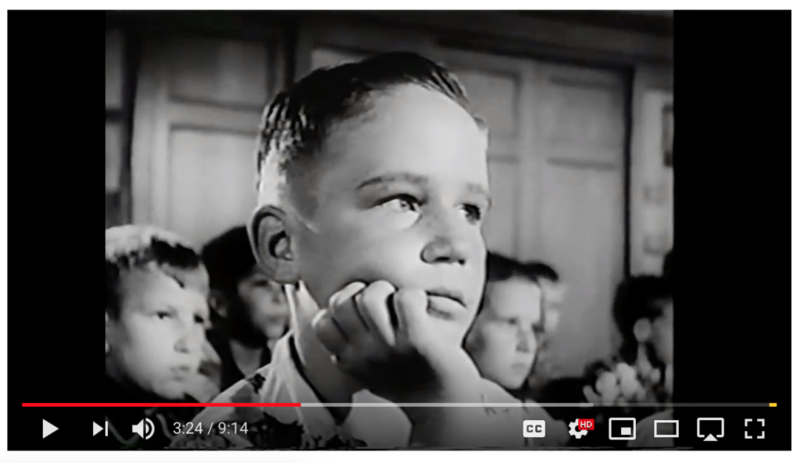 Pretty sure this kid knows the duck and cover turtle tips won’t be enough to save them – with or without warning. With Warning or No Warning. One afternoon, at the end of this past February, the dog and I went for a walk. It was a gorgeous winter afternoon and we cut across the lagoon on our way home. The ice was busy with after school skaters, strollers, hockey games, and frolicking dogs. It was all the regular, ordinary stuff of my life these days. We stopped to take a picture of our moment. 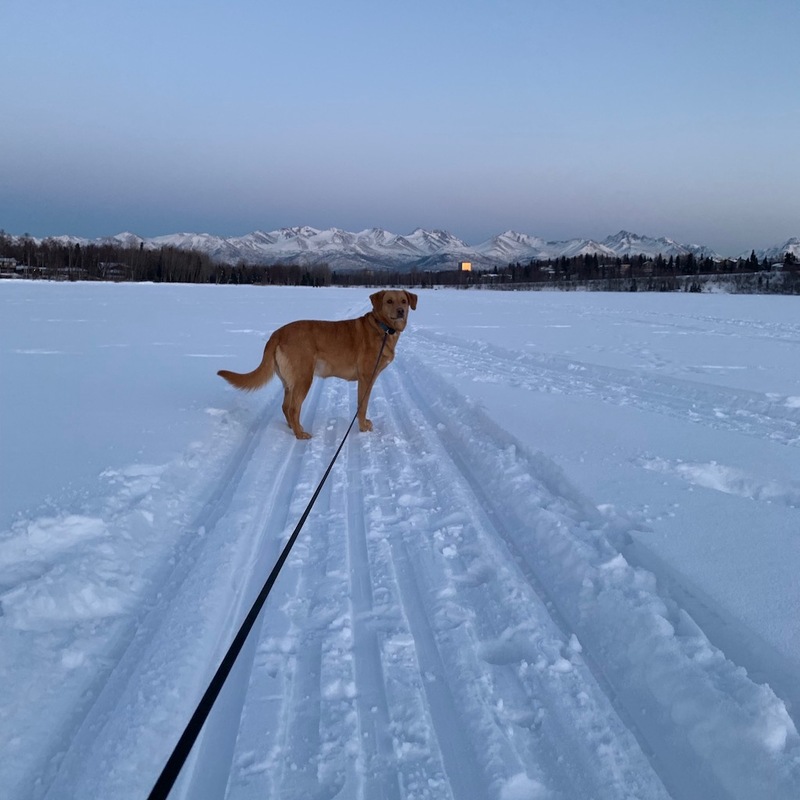 As Ginger and I stepped up off the lagoon and turned right onto the Chester Creek Trail – just a few blocks from home – we hadn’t taken more than a few steps when a lady on her bike, with her loose dog close beside her, came toward me, slowed, and asked, Do you see that moose? She was looking back over her shoulder as she cycled slowly on. Oh! No. I hadn’t seen the moose. I called back my thanks as I took another step forward, and then stopped short. Like looking across a neighborhood street and into a clump of trees, I spotted the moose. Instinctively I began figuring out if there was room to safely pass, but I quickly realized that was pointless. THIS MOOSE WAS HUFFING MAD. I turned fast to double back on my trail. I was practically in disbelief – I see moose in my neighborhood all the time! but I’d never encountered an angry one! I started to run, and also to evaluate my available tree options. There were plenty of slim little trees in the deep snow, just barely off the trail. But right when I should have chosen one and anchored myself in hopes that my duck and cover strategy would be enough to save me, the moose lurched out of my line of sight, crashing its massive body into a thicket of trees behind me. Everything happened so fast – I decided not to stop there and get behind a tree, but instead, kept on the trail at a half run. I quickly caught up to the lady and her dog who had triggered this drama. I called out to her, THAT MOOSE IS MAD! and then realized that she was still riding slowly, looking back over her shoulder so I looked back too. That great big moose had charged back onto our trail, and was careening wildly out of control. We were dead ahead on his path of rage. By now we’d left all the trees behind us and we were on a narrow path with tall fences on one side and a frozen lagoon on the other. We had nowhere to go but full speed ahead. On her leash, Ginger had stayed close to me through the entire weird adventure – slowing when I slowed, running when I ran. And right now, we RAN. Just as we reached the end of the fence line, and before I had to make any more decisions, the moose veered out onto the lagoon – something I’d never seen before, a moose out on the lagoon ice. We all turned to watch – that massive body, hooves crashing across the ice, pounding a long path to the other side. Out of breath, wobbly legged, and so very relieved, I turned to the lady who was looking at me, incredulous, and said, We pass moose all the time and have never had that happen. With warning or No warning. It had been a regular, everyday, ordinary moment and then suddenly there was a moose in my path. Not just a moose in my path, but a furious moose in my path – a moose careening back and forth, completely out of control. I had no good choices, but simply to do my best to get out of the way. I often stand in awe of the grand scale and the tiny details of this place. But I walk well tuned to the wild and the dangerous, the unpredictable. I know how to duck and cover. And I also know that may not be enough. It is my work to live in the tension. Not unlike that baby moose…..to live and to learn and to grow. Nope. I am not going in there.